There was some time when Malawi President Peter Mutharika was tipped to be cautious on taming ‘snakes’ within his cabinet and the advisors must have referred to Ministers Kondwani Nankhumwa and Patricia Kaliati. The two are in a spar which involves the battle for Ministerial posts and backbiting at the President’s office, a whistleblower has claimed. In the recent cabinet reshuffle Kaliati was sent packing from the Information Ministry and was moved to the newly created Ministry of Civic Education, Culture and Community Development while Nankhumwa remained with the Local Government. 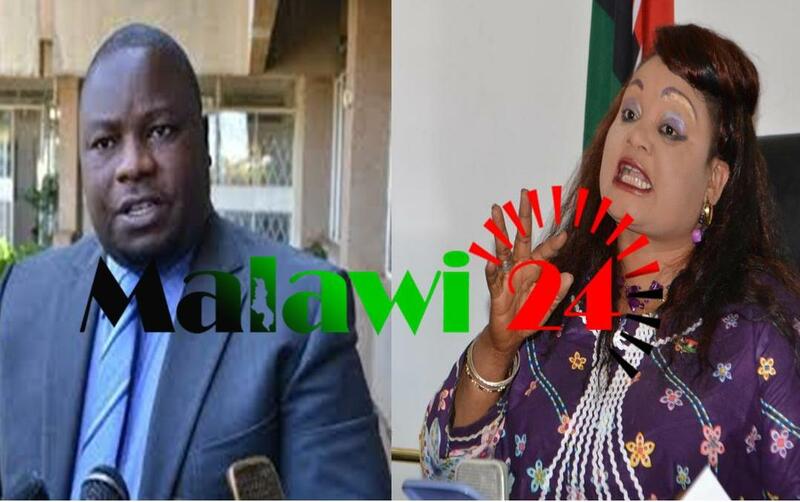 But according to a circulating audio clip which carries voices of Kaliati and a yet to be identified official, Nankhumwa has been secretly fighting Kaliati to the extent of pushing to have her previous Information Ministry on his desk. From the way the audio sounds, it looks as if Kaliati was only trying to probe more from the other person on the phone who told her of the ordeal and seemed to have been the one recording the audio. ‘’Akufuna u Minister wanuwo. Za ma allowance omwe mumapeza ku ma events zikumpweteka,’’ the unidentified man tells Kaliati of how Nankhumwa has been left angry with several outings Kaliati was taking under the Information Ministry including allowances she got after a visit to the Malawi Communications Regulatory Authority (MACRA). The official also tells Kaliati that among other things, Nankhumwa has been painting a ‘bad picture’ of her before President Mutharika. He claims to have personally been told by Nankhumwa himself. This follows initial unverified reports that Kaliati was falling out of favour of Mutharika. Nankhumwa had held the Information Ministerial post before and had been involved in several public scandals including making claims at a rally that ex Malawi President Joyce Banda killed the late President Bingu wa Mutharika. Meanwhile, Kaliati has confirmed that the audio is authentic even though Nankhumwa has trashed the purported information that the ‘whistleblower’ fed Kaliati with. ‘’But my work as a Minister is still going on well. I have a very good working relationship with everyone,” she is quoted by local media. In December last year comedian Michael Usi cautioned Mutharika of people around him whom he called ‘snakes’, sentiments which Vice President Saulos Chilima shared. As we published the story the ruling Democratic Progressive Party (DPP) was yet to respond to us on the matter. You can listen to the audio HERE . Are you itching to say a word on the infighting between the ministers? Leave a comment below. This must have been leaked by PK herself. These issues are their own internal matters. But they want zikhuze a Malawi. Njala. Nthenda Nsanje zingathe chonchi? Zakutha basi. Lets do something about electricity and water. Not your travelling allowances no no no. And personally, it appears man akukamba nkhaniwa ndiomvetsa chisoni. Akufuna adye nanu mayi. Mzibambo wamabodza ngati mzimayi uyu wandidabwitsa. These snakes all they care its about allowance not service derivary malawi is on fire ndithu. Ndale za kumalawi ndi chomcho.